A listener writes “My encounter happened in UP of MI. Maybe 20 miles south of Houghton. I was traveling north to houghton to visit the college mi tech. I was with my gf and her family at the time. It was around 8 pm, march of 2005. It was dark out at the time. Everyone in the vehicle was asleep except for my gfs dad and I. I was in the back seat and he was driving when we saw it. It crossed the road in front of us about 50-75 yards ahead. There was another vehicle traveling in the opposite direction so both of our headlights were illuminating it. It was just far enough for our head lights to not be directly on it so when we saw it we couldn’t identify it clearly. For years and years I thought we saw a cougar because of how it moved. It obviously wasnt a bear because of how smooth it seemed to move. It was on all fours and seemed to glide across the road. It took up the entire lane we were in. It moved from the right to left and took strides, like one arm reached out with the opposite rear leg at the same time, back and forth. Like a cat walking. I figured a bear running would be more of a gallop. It crossed the road in 3 strides then went up an embankment on the other side of the road and into the woods. The embankment was probably 45° and 50 yards to climb. It was up it like lightning. I had never seen anything move like that even on tv. And it was so long. Thats way for years I thought it was a big cat. Back then the thought of bf never crossed my mind and what else would move like that. I remember thinking holy s*** if that ‘s a cougar then they are huge and fast! When we saw it I said to my gfs dad what the f is that? And all he said was I dont know.. So for years I thought it was a cougar but looking back, now that im older I know that cougars arent that big. I love the details in this. Early 90’s on my way back from Tech after picking up my GF we broke down in a small town called Seney. Locals in the UP were fast to stop and render assistance. Never thought about it too much until I started listening to SC. Got the car fixed and it was probably 6 or 7 PM. in March, so it had been dark for a while. We decided to grab a few hours of sleep in the car just off a main road and then get an early start. Being poor college students with no money and no visible hotels/motels nearby, it was such a rural area we thought we had it figured out. About a half hour after getting settled our mechanic comes down the road, sees us and pulls next to us. He gets out and asks us what’s going on. We told him the plan and he frankly said no way. Took us to an older local couples old “motel” in the woods that had like 4 units. He has the conversation with the older gentleman in front of us and tells him our plan and how that wasn’t going to work. He convinces the older gentleman to give us a room because “they can’t stay out there”. To make a longer story short, we were so creeped out we did not sleep that night. Just something eerie about the place and area it was in. Heard strange noises pretty much all night. We didn’t dare look outside. At first light we were on the road and talked about the night for the remainder of our journey home. Makes me wonder maybe what the locals knew at the time, as I have now seen that the Seney Wildlife area has quite a few reports on the BFRO database. Thanks for the trip down memory lane. Probably a ton of unreported sightings up in the Houghton/Marquette,/Munising areas. Thanks for sharing that, scary indeed. Wow !! I would like to hear more detail on Andrew S’s story … would creep me out too . Do your interview with Wes and come on in to Sasquatch Chronicles Blog or the Sasquatch Chronicles Forum and lets talk about your Michigan encounter in a relaxed setting and enjoy friendly casual conversation with likeminded people of all walks of life and experiences, occupations and educational levels, from all across the North America and around the globe. 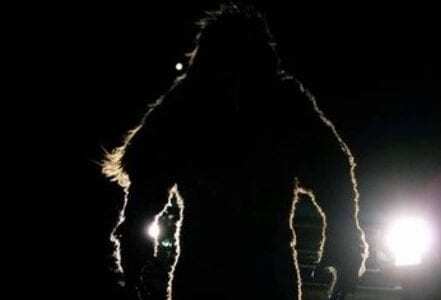 Sasquatch Chronicles Forum is where you can discuss it, answer or ask questions and learn about hundreds more encounters from the great state of Michigan.